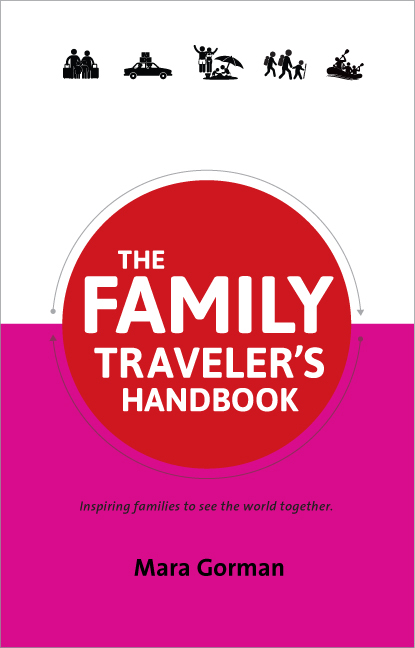 You might think that because summer is winding down the time for family vacation planning is over. 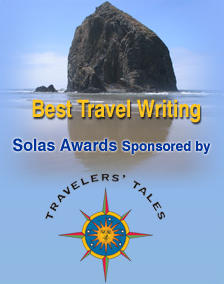 But I’m a believer in perennially thinking about where we might go next. I even like to think about hypothetical trips, dreaming of a place where I have no definitive plans to go but that I might visit someday. 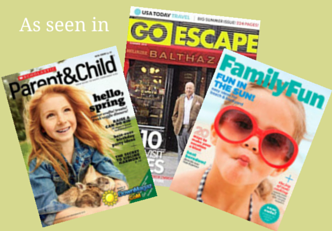 When it comes to beach vacations, my family likes to mix a bit of lounging in the sand and getting active in nature. My nine-year-old son Teddy is a huge fan of observing marine life, while twelve-year-old Tommy doesn’t like to stop moving for too long. 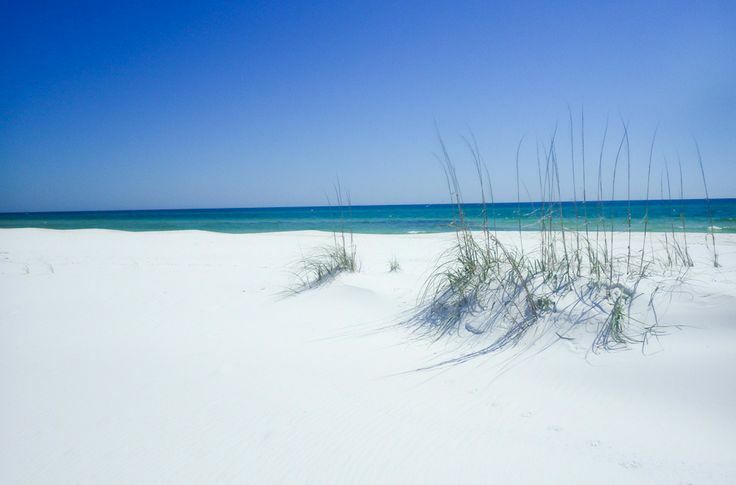 Panama City Beach is in part of the Florida panhandle called the Emerald Coast, famous for its large population of bottlenose dolphins and its beautiful pink sunsets and perhaps less well known for its nearby forests and hiking trails. It sounds like a perfect fit. 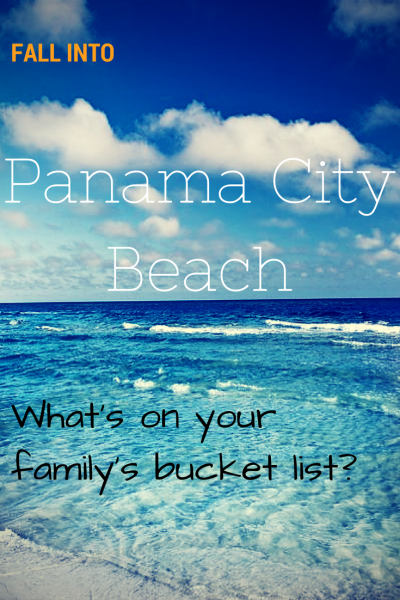 What’s on my family’s ultimate Panama City Beach Bucket List? Spending a day at Shell Island. We would for sure head out into St. Andrew Bay where this seven-mile, undeveloped barrier island overlooks the Gulf of Mexico. This is pure beach wilderness – no concessions, no boardwalk, just us, maybe a few deer, and some pelicans and gulls. 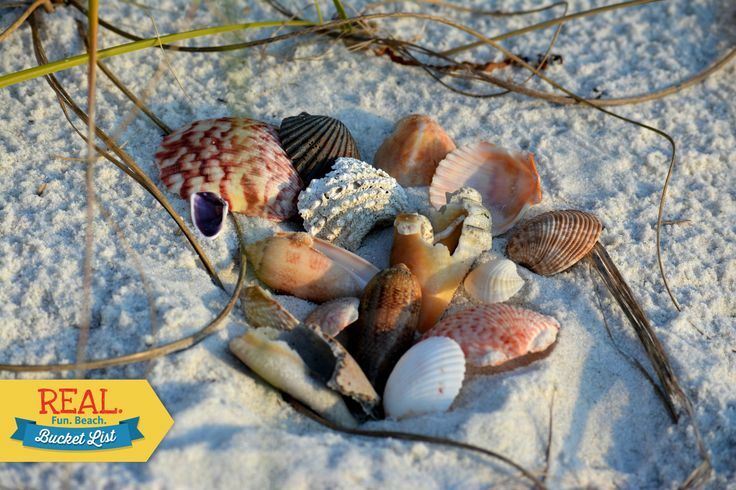 Oh, and we would look for dolphins in the water as well as the rarely spotted Choctawhatchee Beach Mice in the sand. This would capture Teddy’s imagination to no end (he’s been known to spend entire trips searching for mythical or endangered animals – the harder they are to see, the more exciting the quest). There are regular shuttles that bring visitors, but you can also rent a pontoon boat from Adventures at Sea and drive yourself. Snorkeling the Emerald Waters. Clear waters and abundant marine life – there are nurse sharks, rays, bottlenose dolphins and loads of fish in this part of Florida – make Panama City Beach a go-to destination for both diving and snorkeling. Given how much Teddy loves “sea creatures” (as he calls them) it’s hard for me to believe that we’ve never snorkeled, but this is a sad fact. I know that snorkeling isn’t hard, but I’m a believer in getting some training when trying something new. The Diver’s Den offers two-and-a-half hour snorkeling trips to Shell Island at a reasonable rate (our family of four could participate for $200). Once we got the hang of exploring in the water, maybe we would rent some gear and head out on our own. An excellent place to do this is St. Andrews State Park, which has over a mile of shoreline, rocky jetties, and a concession with rental equipment. Watching dolphins play. 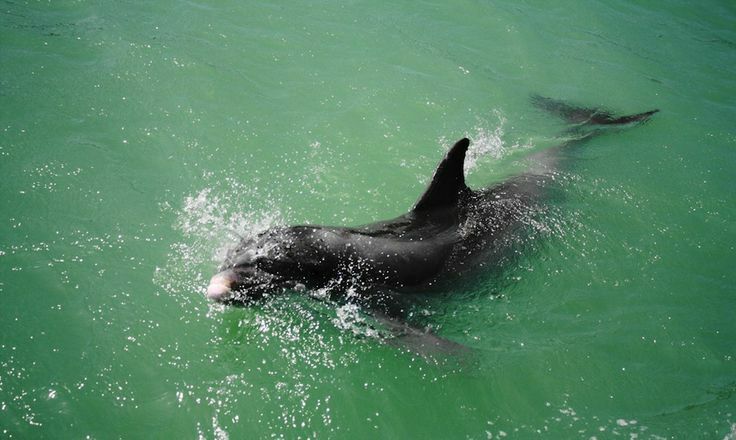 Panama City Beach offers lots of different ways to see and interact with the dolphins that live in its waters. They tend to appear on trips out to Shell Island, so we might see them on either of the first two adventures I described, or while we swim at any of its 27 miles of beaches. Or we could visit Gulf World Marine Park, which offers dolphin shows daily as well as the opportunity to connect one-on-one with both bottlenose and the more rarely seen rough-toothed dolphins in their poolside “Meet & Greet” program. The park also houses an institute that is a leading rescue and rehabilitation institute for marine animals, including dolphins and sea turtles. Biking at the Conservation Park. Another way to experience wildlife in Panama City Beach is on land. 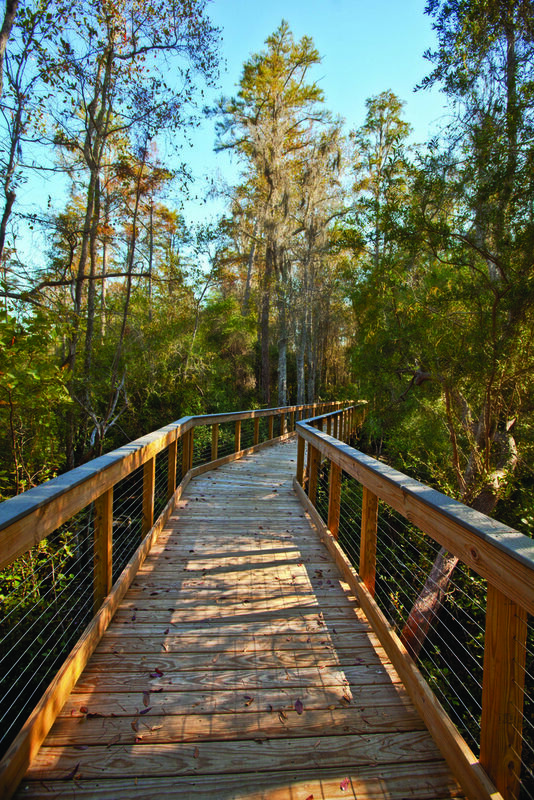 Conservation Park is about ten minutes from the beach and has 24 miles of trails for biking, hiking, and strolling. This park is part of a city project to rehydrate natural wetland and its trails traverse marshes and forests and offer lots of chances to see wild animals. I know that my kids get tired of long, hot days in the sun so the idea of bike riding under the trees would have a lot of appeal. Getting a fresh taste of gulf seafood. Dining is an important part of my family’s travel experiences. We love to explore a place through its food so eating local is always on our agenda. I’m a huge fan of Gulf shrimp, but the list of delicious local seafood to be found in Panama City Beach also includes Florida lobster, flounder, grouper, scallops and crab. There are lots of seaside restaurants serving these treats; a few that look especially appealing are Capt. Anderson’s, a family-run restaurant right on a marina and Saltwater Grill, which boasts a 25,000-gallon aquarium. Another way to get some local fish in our mouths would be to visit during one of the area’s fall celebrations. The Lobster Festival at Schooners Last Local Beach Club brings a yummy spin to the middle of September; there’s also the Seafood and Music Festival during the third week of October. I’ve shared my bucket list– if you visit the Panama City Beach website you’ll find lots of other ideas and a chance to create your own. And one more thing: This post is brought to you by Panama City Beach, but when I wrote it, I followed the same strategy I always use when planning a trip to a new destination – lots of online research, consideration of what my family likes to do, and a good dose of dreaming. As a result I discovered that this area would make a good vacation spot for us and now it’s got me jonesing for a Panama City Beach trip. The one other time my family swam in the waters of the Gulf of Mexico was in the fall. I highly recommend booking a “shoulder season” October getaway like we did if you can make it work in your schedule. Hurricane season is wrapping up, the weather is starting to cool down a bit, but the crowds haven’t yet arrived. A long weekend to Florida is completely doable from the northern East Coast – flights are only a few hours. Save money (and give yourself plenty of space) by booking a condo or vacation cottage on your trip. Panama City Beach has lots of beachside rentals. I am a little embarrassed to say that I grew up in Florida and have not experienced the beaches in Panama City yet. Granted, I’m from a little more south- the Tampa area. Still! I will have to make a trip. Thanks for the post. I would love to go to Florida on vacation. All the places we would want to visit though work out to be pretty expensive! Still though, it’s a once in a lifetime opportunity.